A notable feature is the man-made lake which has been beautifully landscaped into the Park. Its source being the Valley Brook which runs out of view under the lake, until it reappears on the adjacent Golf Course. It was originally formed by 'grading in'from existing banks and levelling off to a depth of five feet By'puddling'the day bottom it was made watertight and a dam at the West side. Original wooden bridge over the lake. During the last war the lake was considered a possible location aid for German aircraft bombing the factories, so in October 1940 the water was drained out and the bottom camouflaged with evergreen branches. Other branches were placed over the greenhouse, however, by April the evergreens were removed and the water replaced, it now transpires that such action was taken too late, for at the and of September 1340 the Germans had taken an aerial photograph of Crewe, showing 'LOKOMOTIVFABRIK' LMS.R.' and 'FLUG-MOTOIEWWERKE. ROLLS ROYCE LTD' This also shows antiaircraft barrage balloon sites at the old Bandstand, Queens Park Petrol Station, opposite St Mary's Catholic Church, Leighton Park and Badger Avenue by Ford Lane. The Ring Road around Queens Park and the band ot trees inside being very distinctive, in addition to the lake from the air. The lake is home to a variety I water fowl which attracts I Ornithologists from afar to take pictures of rarefies such as the I Egyptian and Canadian Geese and I Caroling Wood Ducks. Today, traditional family boating remains a very popular activity. The lake is also used by local anglers and community organizations for Raft and Paddle Boat Races and often for Local Charities; which provide much pleasure for participants and spectators alike. Dunne the renowned winter of 1963. The ice was so thick that skaters took to the lake. In the evening the area was floodlit and hot food vans were well patronized. One of the Park's largest crowds attended the dedication with military attache from many Countries, together with an American Air Force Band, flown in from Germany. Through the main gates, on either side of the Clock Tower can be seen 62 flower beds as laid out in the original Victorian design They are planted to a different theme each year using colour patterns, contrasts of pastel shades, new varieties and old favourites.Winter flowering Pansies start the year, with Tulips and late flowering Dahlias to extend it. Petunias and Begonias with their range of colours. Geranium*, Fuchsias and Heliotrope, with their coloured leave* and potential growth of up to three feet in height. The park has always specialized In these plants, as they have different leaves, height and shape, to give Interest and pleasure to visitors. There are only five original trees in the Park to remind us of the hedgerows of of 100 years ago. All are oak - three are between the play area and the greenhouse and two are in the shrubbery by the scented garden with its diversity of leaf and (lower perfumes. In front of the Cafeteria, by the lakeside, grows a Cedar of Lebanon. It has a flat top with horizontal branches and is about 90years old. It is said that the fossilised remains of a tree dated back to the Ice Age - of the Devonian period, some 320 million years ago - possibly a Lepidodendron, is located in the path which leads from the Cafeteria down to the lake. A a contrast just along the path, beside the Coronation Walk bridge, is a twisted Willow, now 24 years old with its fascinating, contorted shape. The bandstand which once stood in front of the Victoria Pavilion is now sited towards the West Gate,During the last war. both the flower beds and greenhouse contributed towards community welfare, producing seedlings of various vegetables. In 1941, approximately onions and crops consisting of 1,049 lbs. of tomatoes and 512 Cucumbers were grown, all of which were sold to 3,470 local people. When, in the 1960,s the greenhouses were re-located to their present position the well-loved facility for the public to be able to walk past and view the plants inside the greenhouse was retained. A wide variety of plants are grown end transported to grounds within the Borough - including Cemeteries, road islands, open spaces. Parks and so on. Those 'home grown plants contributing greatly towards the Borough's success in the Britain in bloom competitions. Plants are used for special arrangements for civic functions and private hire. Surrounding the 1904 South African War Memorial at the centre of the Park, sloping carpet bedding displays commemorate local anniversaries National events and Carnival themes. Past displays have included Three Blind Mice', 'The Wombles', 'Mary, Mary, Quite Contrary*,"Year of the Child', 'Festival of Britain', 'Postman Pat', the Queen Mother's Birthday,Anniversaries of Guides, Scouts and other organisations, to mention but a few. and water bottle, stands to attention at the top of the monument On either side of the base, lying down, are two full-size stone lions. At the front of the monument the magnificent bronze engine model designed by F W Webb, once stood. This is now used for displays throughout the Borough -including those on the 19S7 Heritage site. Behind the monument is the Jubilee Cafeteria which opened on 12th June 1977. together with the new Bandstand. This more modem structure replaced the original Victorian Pavilion which was burnt to the ground on the night of 27th December, 1972. Because the water mains had been fractured by frost, firemen pumped water up from late and although they worked throughout the night, it was to no avail. On Sunday afternoons throughout the Summer, brass bands have a long tradition in the Park, which today includes a variety of bands which provido music to suit all tastes and ages. The Cafeteria centres the Park's activities and serves that extra treat or drink for children's outings, Picnics, coach parties, school classes, hospital group and visiting families. In olden days,picnickers brought their tee and large tea pots to the special cafe windows to buy fresh boiling water. At the other end of the main drive, at the Park's entrance, stands the prominent Clock Tower - 1888 - which was donated by employees of the Railway company. The lower is topped by an elaborate support to a weather vane. At the base of the tower, on either side, there used to be two drinking fountains with brass cups on chains. lodges came from the railway cuttings that go down to Lime Street Station, Liverpool These buildings are contained on the Department of the Environment's list of buildings of special architectural and historical interest - Grade II. flowers and aromatic herbs, thus providing for the visually handicapped. The popular Children's Play Area, which was refurbished in 1986 is a comparatively new addition to the Park, originally being provided in the late 1950's. Under the United Nations Charter, children have the right to play happily and safely, and many thousands do so on the up-dated equipment. Swings, slides, roundabouts and many other items all have rubber safety surfaces beneath them, covering the Crewe clay mud so the whole area can be properly used despite the weather. Other family activities include Crown Green Bowling on the carefully tended green; Crazy Golf or Putting, which have always been popular pastimes. For example, in 1932,13,710 players paid a penny for a round, and no doubt enjoyed it. Other games include Giant Chess and Draughts, alt contained within the same area. Annual events include the Carnival and Fete, with attendance of up to 20,000 people which, in the early days, was held to raise money for the local hospital and the proceeds from the recently introduced Traction Engine Rallies go towards the Wybunbury Tower Preservation Fund;Sports Week Fete, Burma Star Memorial Sunday and other focal Charity events, to name but a few. 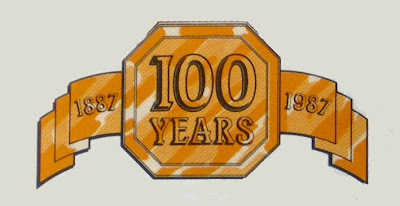 Of course, during 1987 -Heritage Year - there will be seven weekends of Centenary activities with entertainment to suit all tastes and ages.